B:CIVIC will join the Leadership Foundation, and its members will continue to enjoy access to professional development, networking opportunities and special events geared towards corporate social responsibility professionals and the nonprofit organizations with which they partner. “Leadership is an activity, whether as an individual committed to your community or as an organization whose employees want to engage and give back. This partnership allows us to not only build exceptional individual leaders, as we have for nearly 45 years, but also to work with organizations that want to be responsible for building a stronger community,” said Leadership Foundation Executive Director Dan Lewis. The Leadership Foundation and B:CIVIC have a history of working toward a similar mission to strengthen Colorado through community leadership and social responsibility. In fact, the Denver Metro Chamber of Commerce was a founding member of B:CIVIC in 2013. “We are thrilled to combine our expertise, resources and community-minded B:CIVIC members and Leadership Foundation alumni to make Colorado the best place to live and work,” said Demesha Hill, board chair of B:CIVIC and community relations manager of Janus Henderson Investors. Kirsten Vermulen, program director for the Leadership Foundation and vice chair of the B:CIVIC board of directors, will serve as the executive director of B:CIVC under the Leadership Foundation. “This partnership is a win for the community; one that will allow us to do more good in the community and empower people to do that work with our Colorado’s Civic DNA values – of inclusivity, collaboration, shared vision, responsibility and leadership – in mind,” Vermulen said. More information on the new partnership can be found at denverleadership.org or bcivic.org. 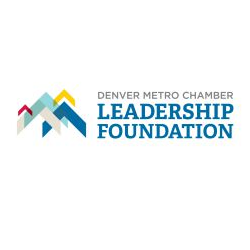 An affiliate organization of the Denver Metro Chamber of Commerce, the Denver Metro Chamber Leadership Foundation educates and inspires people who want to make a difference as leaders in the community. Building strong, diverse leaders for nearly 45 years, the Leadership Foundation provides the knowledge, skills, networks and experience to inspire leaders to engage in issues critical to the region’s success through a continuum of programs, including Access Denver, Colorado Experience, the Colorado Leadership Alliance, Colorado’s Civic DNA Fellows, Impact Denver, Leadership Denver, Leadership Exchange and the Leadership Foundation Alumni Network. For more information, please visit denverleadership.org. B:CIVIC is an association of businesses that promotes and advances corporate social responsibility for the betterment of all communities and businesses. Our goals are to (1) Develop a culture in Colorado where all businesses and business associations know that investing in the community is a smart, viable business strategy; (2) Lead as a strong and effective voice showcasing and inspiring business engagement throughout Colorado; (3) Increase the resources (including dollars, time, and in kind) invested by companies in support of local causes and community organizations; (4) Serve as a strategic forum and meeting place to bring Colorado businesses of all sizes and levels of experience together to share knowledge and expertise about effective community engagement strategies and programming; and (5) Create an enabling environment for collective impact so that businesses and community organizations can engage effectively together to address critical local needs.